The November & December issue of The Energy Cooperative Times Magazine is available online. LIGHTING UP NORTH CAROLINA: Learn how our crews helped restore power after Hurricane Florence. COVER STORY: Natural gas pipeline replacement improves reliability and supply. DIRECTOR’S CORNER: District 1 Director, Don Hawk discusses member engagement in our cooperative. TEACHING CHILDREN ABOUT ENERGY EFFICIENCY: Practical tips for teaching children how to reduce their energy consumption. STRATEGIES FOR STRESS: Helpful tips to handle stress this holiday season. FINANCIAL CORNER: Propane members noticed an increase in their rates this year. Here’s why. OPERATION ROUND UP: Operation Round Up Foundation awards $41,488 in October. MESSAGES FROM MEMBER SERVICE: We identified the questions you ask most often, and answered them. FEATURED RECIPE CONTEST: Sandy Drenning of Mount Vernon, Ohio shares her recipe for cranberry pie. The Energy Cooperative Times is the official publication of The Energy Cooperative. With a circulation of more than 63,000. This magazine is the bi-monthly Communication link between The Energy Cooperative based in Newark, Ohio, and its members. Holiday Hours: All offices of The Energy Cooperative will be closed on Thursday, November 22, Friday, November 23, Monday December 24, Tuesday, December 25 and Tuesday January 1 to observe the holidays. In case of an outage or emergency, call (800) 255-6815. Service personnel are on call 24/7/365.  Cooperative members – Please report any change of Email address or phone number to us at (800) 255-6815 or feedback@theenergycoop.com.